Roundtables are a free member-only benefit. RSVP required. 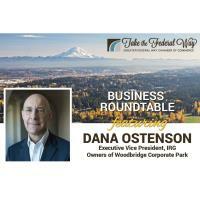 Chamber members are invited to participate in a Business Roundtable with the Industrial Realty Group, to discuss the economic development plans for Woodbridge Corporate Park (formerly the Weyerhauser campus). 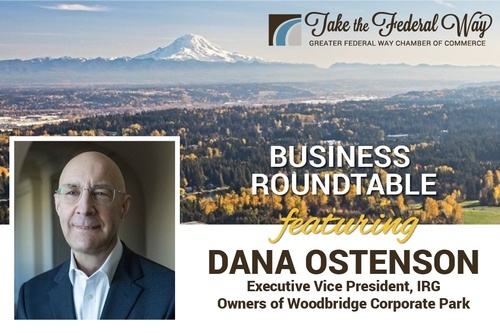 There is no fee for the Chamber's Business Roundtables; however, to accommodate maximum attendance, reservations are required.